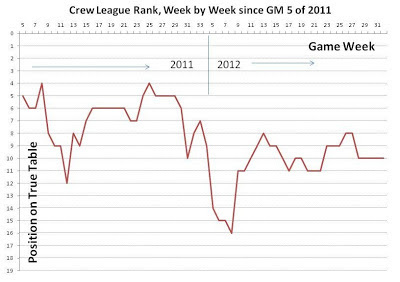 Below is where the Crew have stood on the complete league table since game 5 of last year. I use the "true table" rank (points per game) because Major League Soccer oftentimes may have teams as many as 5 games apart in some rounds. Note: This chart ain't winning any beauty pageants, but it does the trick (I think). 1. 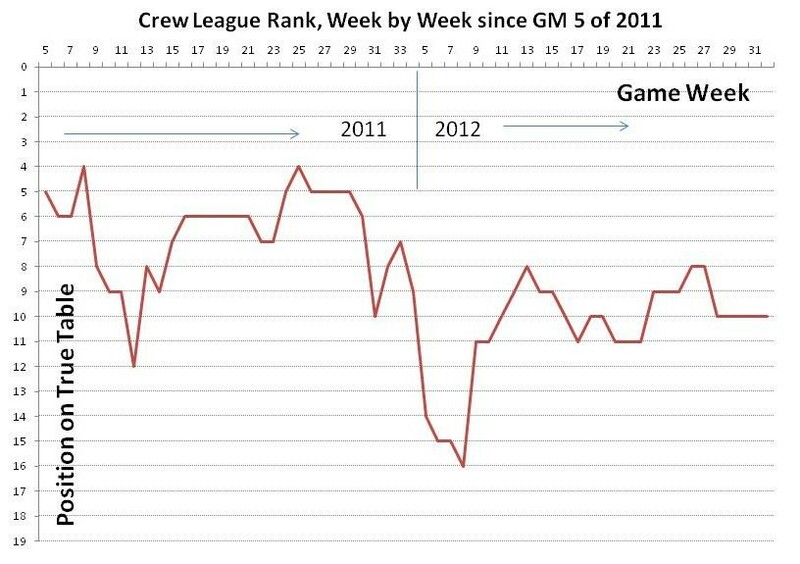 The Crew were better in relationship to the rest of the league last year until the end.